The Honorable Joel Asarch, a very personable Nassau County attorney who had been serving as a Nassau County Supreme Court justice, died of a heart attack this morning at South Nassau Communities Hospital in Oceanside. He was 60 years old. The funeral will be held Monday, March 4, 2013 at 1:00 p.m. at Gutterman’s Funeral Home, 175 North Long Beach Road, Rockville Centre. I personally knew Judge Asarch since 1984 when I met him at the Nassau County Bar Association. At the time he was working for his father’s law firm in Lynbrook — Asarch and Asarch — and he had become an expert in New York state civil procedure issues and the C.P.L.R. As such, his practice at the time was heavily devoted to civil litigation. He often volunteered to teach seminars at the Bar Association and for years, while I was a young attorney, he was my go-to person for questions about issues involving the C.P.L.R. He was always especially helpful and took pride in assisting newer members of the bar. Once I specialized in bankruptcy law, it was his turn to ask me questions about bankruptcy issues. For many years, Judge Asarch wrote a monthly column about civil procedure and C.P.L.R. issues for the Nassau County Lawyer. He eventually went on to serve as Dean of the Nassau Academy of Law. He was also a keen film buff and hosted a number of seminars about law in the cinema, which were most entertaining. 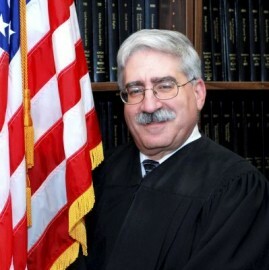 Judge Asarch attended the University of Pennsylvania, graduating in 1975, and obtained his law degree from New York University in 1978. He was admitted to the Bar in 1979. He was elected to the Nassau County District Court in 2001 and to the Nassau County Supreme Court in 2007. His political affiliation was Democrat. He was also an adjunct professor of law at Touro Law School. Judge Asarch was a long-time Long Beach resident. He is survived by son Steven Asarch, a student at Baruch College in Manhattan; daughter Michelle Asarch, a student at Binghamton University; mother Helen Asarch, of Long Beach; and sisters Sharon Asarch, of Los Angeles, and Ilene Asarch, of Needham, Mass.